Considering Burma: ‘No more the Royal Palace’ | What moves you? When considering Burma, you may remember the atrocities committed against protesters in anti-government protests in 1988, recall news clips of Monks and others taking to the streets in 2007, or the lack of access granted by the military government to humanitarian workers following cyclone Nargis in 2008. 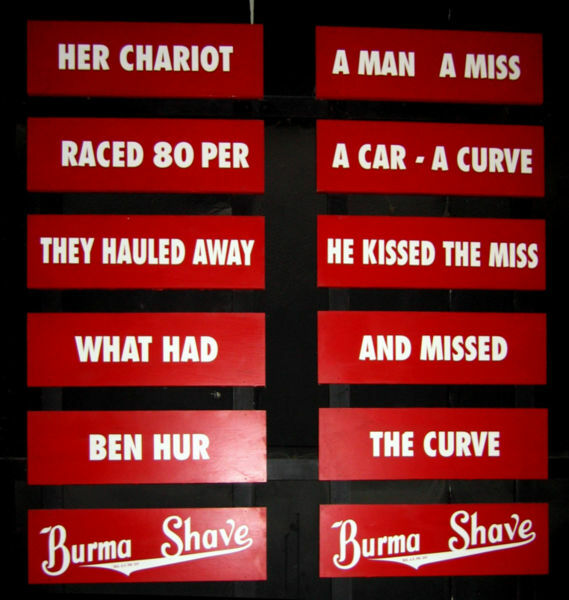 Depending on age, maybe you think of nothing more than ‘Burma Shave’ a brushless shaving cream marketed in the US through rhyming poems on small, sequential highway signs. Regardless, few of us have actually considered the complexity that is Burma and how this country fits into the world. As the first major stop on my journey, I’m curious to learn more. Burma has an intriguing yet fractured past that sheds some light on what is present-day Burma. Early kingdoms, colonialism, devastation during WWII and inspiring figures like General (Bogyoke) Aung San have all shaped the present. Today, a nationalistic military dictatorship presides over a country ethnically diverse and still technically engaged in what is today’s longest running civil war. Some hold out hope for a democratic revolution while others believe slow and conciliatory engagement with the government is the way forward. In the next three posts, I will address Burma’s history and the country’s current predicament. Before I give a rough introduction to Burma’s colonial history, let me introduce you to my favorite Burmese character – Bogyoke (General) Aung San. General Aung San, the architect of Burmese independence, has captured my imagination more than any other figure–his historical rise and devastating fall. Bogyoke Aung San was a man of character, perseverance and self-discipline; traits his daughter Aung San Suu Kyi would inherit. Supposedly, what Aung San lacked in stature and care about his appearance, he gained in charisma, confidence and political genius. When assassinated at age 35, he had won the favor of his counterparts — men a minimum of eight years his senior — to lead the country. Unique in so many ways, Aung San didn’t talk until he was almost four years of age. As a young boy he flatly refused to go to school. However, once inspired by his older brother perched upon a white horse during an educational ceremony, Aung San promptly changed his mind, caught up with and surpassed all other students by age 13 and then skipped two grades. Desiring to study away from home Aung San commenced a hunger strike until his parents conceded. He engaged in a similar stand-off later in life when in a hospital he refused to eat unless one specific nurse, who would later become his wife, fed him. When asked why he didn’t put up a mosquito net to sleep he replied: ‘as a revolutionary, I’m bound to one day be imprisoned, so I need to toughen up.’ With Aung San’s sole determination to lead Burma to independence, he rose in popularity and influence late in Burma’s colonial history, which had begun back in 1885 when the British dethroned King Thibaw. How then did Burma’s colonization come about? One could say Sir Winston Churchill’s father, Randolph — in charge of colonized India, was largely responsible for initiating the formal colonization of Burma. Before 1885, Burma was ruled by Kings who, during various periods, battled those both east and west, at one point overrunning Siam (today’s Thailand) and marching west to Bengal. At the risk of oversimplifying, Churchill’s political interests were richly intertwined with commercial interests and growing economic problems in England. Burma offered new economic opportunities through its forests, oil and ruby mines and would prove to establish a link between India and Chinese markets (known as ‘the Burma road’). Burma and England (or the British East India company’s army) had engaged in conflict prior to 1885, with Britain controlling the strategic port of Rangoon (Yangon), which is where we will begin our time in Burma. Churchill found a pretext for war through intelligence about the budding relationship between King Thibaw of Burma and government officials in rival Paris. Effectively, England secured commercial interests and curtailed the French by removing Thibaw from the throne and, until WWII, administered Burma as a province of India under the government in Delhi led by one Randolph Churchill. In the early years of colonization, England’s influence brought with it economic optimism, converting jungle swamps of the Irrawaddy Delta region into the world’s number one rice-growing region. However, at the same time a lack of respect, dignity and “outright racism” remained a trait of foreign occupation (Thant Myint-U 2006 p. 191). Indeed, “for the ten thousand Buddhist monks who lived in and around the capital, occupation by a non-Buddhist power was almost impossible to comprehend. Mandalay was the center of religious life in Burma, and the King acted as patron to dozens of monasteries and monastic colleges around the city and in nearby towns. All of a sudden their patron was gone, and an entire system of higher education and religious training collapsed almost overnight” (Thant Myin-U 2006 p. 26). When I envision Burma, I envision a Buddhist culture. Images of Monks and pagodas are at the forefront of my mind. Though as history progressed from colonialism to the eventual institution of a nationalist government in 1962, monastic life no doubt changed once again. I am curious to observe how monastic life currently exists in Burma. At the same time, I look forward to observe if any colonial remnants still exist. Thanks for giving a brief history! I have thoroughly enjoyed following the blog with michele and caleb’s observations. I look forward to the different perspectives of both you and Sabrina. Happy travels. Thank you so much for reading the blog. Travel more than anything makes me want to share what I see and experience and it’s exciting to know that there are people like you who enjoy reading about it. Please keep sending updates on your art, too, I really enjoyed looking at your installations!